It’s the first piece of furniture in any home. 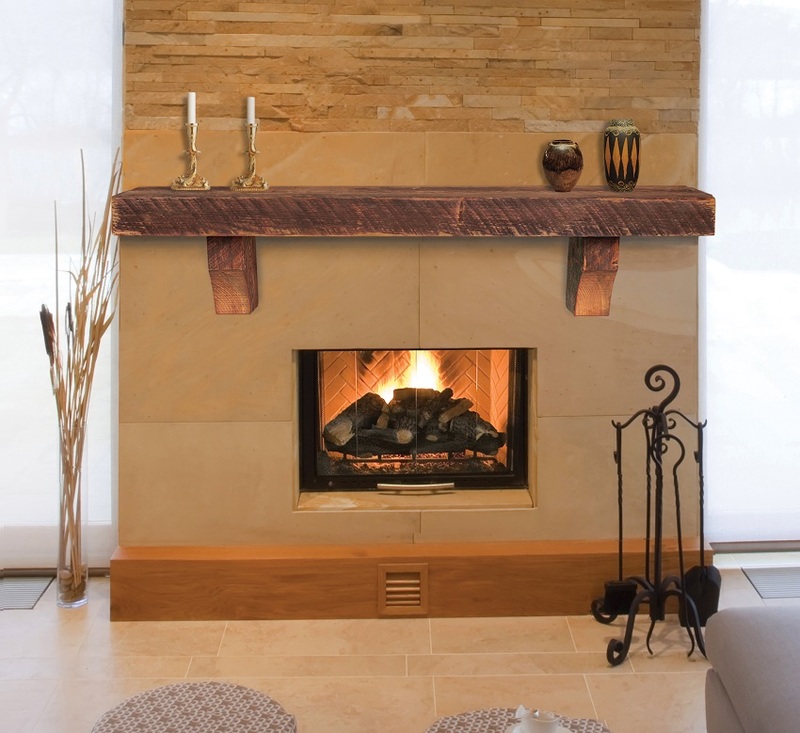 There's nothing as warm and welcoming as a crackling fire in an open fireplace. The dancing flames can lift your spirits and melt away the most stressful day in a matter of minutes. But to truly be part of the home, a fireplace must warm our hearts even when there is no fire in the grate. Pearl does not treat the mantel as trim or molding but as a beautiful piece of furniture that is the focal point of the entire room, the emotional core. It represents roots, heritage and tradition. Furniture is arranged around it, precious treasures are displayed on it, and it provides balance and stability to the entire room. 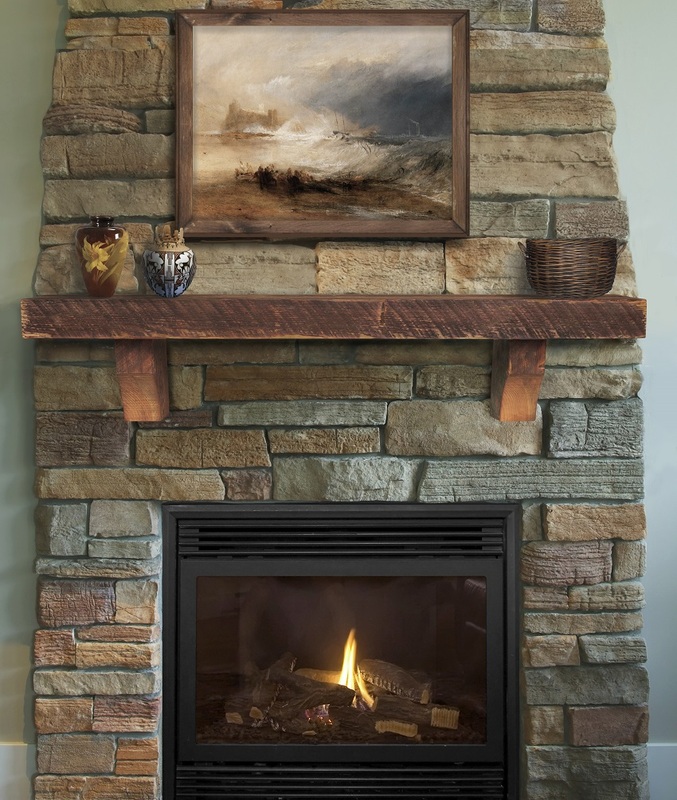 Pearl Mantels features fine furniture quality, stunning details and classic designs that will enhance any décor. Reclaimed solid Pine shelf and corbels with mounting bracket. 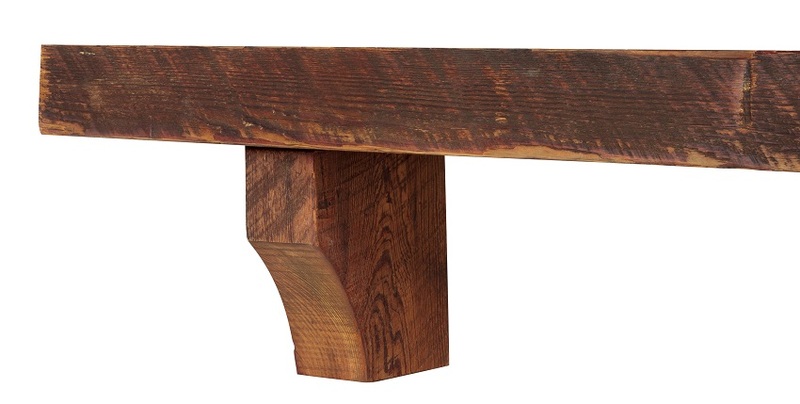 Handmade from reclaimed Pine salvaged from century old American structures. Naturally weathered gray, the timeless beauty of this reclaimed wood is unmistakable. Each piece is handmade, retaining the natural splits, knots and nail holes characteristic of its historical past. The Driftwood finish is timeless and soothing, hand rubbed and applied by craftsmen with the intimate knowledge of old world techniques. Using reclaimed wood benefits the environment, and can help save existing trees. Reclaimed lumber is also higher quality in general than new lumber. It is highly desired for its history and character. Reclaimed lumber provides a look that is simply unmatched by new lumber. Other characteristics include beautiful color, stability, durability, hardness, texture, and fragrance. 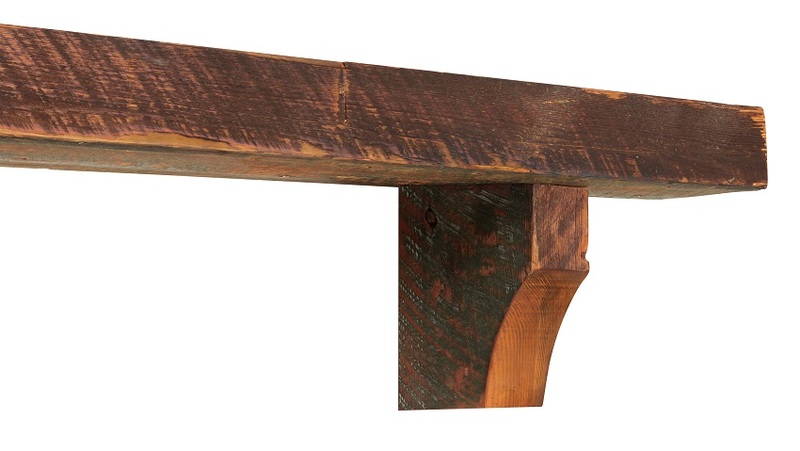 The Reclaimed Pine Mantel Shelf 60" 72"
Overall Height with Corbels: 14" 14"